Salesforce has released new updates that allow its users to collaborate on Quip documents right from within its core products. Salesforce has released new updates to its core products that allow users to utilise the work collaboration app Quip right from within its own service. The company purchased Quip for $750 million in August for its collaborative word processing and spreadsheet apps that also include messaging features similar to those offered by Slack. Through the use of a work collaboration tool such as Quip, Salesforce is able to offer its clients an alternative to Microsoft Word and Excel that is already included in its core products. This also allows users to work with financial and other data that was previously inaccessible which means they will be able to accomplish more using Salesforce. 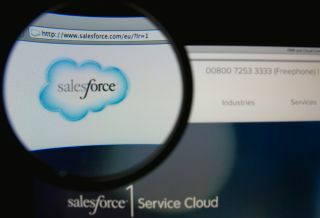 The financial services firm Cowen & Co. has even made the argument that Salesforce could potentially launch a new stand-alone product called Productivity Cloud by utilising the technology behind Quip. Derrick Wood, an analyst at the firm released a note in which he outlined the potential of such a move, saying: “Productivity is a large $25 billion market (2019) with incumbent Microsoft holding majority market share, along with several newer vendors including Google, Slack, Evernote and others.